Economist and money manager Gary Shilling has a message for investors thinking now is the time to buy oil or other commodities: Dont do it. “Supplies of almost every commodity are huge and growing,” Shilling writes. 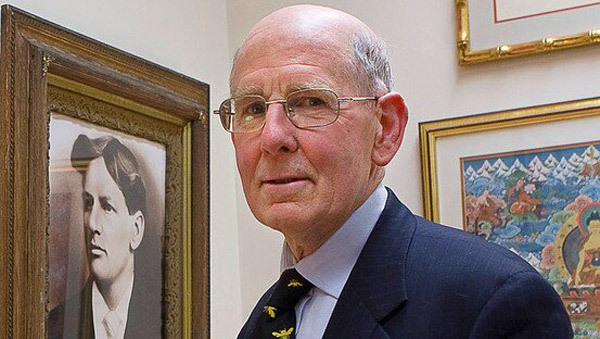 Economist and money manager Gary Shilling has a message for all those investors who think now is a good time to buy oil or other commodities that have plummeted in price over the past year: Don’t do it. “Supplies of almost every commodity are huge and growing,” writes Shilling in his latest Insight report. At the same time, demand is falling due to the slowing global economy, says Shilling, president of A. Gary Shilling & Co.
Usually production falls after a big drop in commodity prices, reducing supplies to meet the lower demand, resulting in an equilibrium price. But that hasn’t happened in the current commodities market, according to Shilling. In the oil market, neither OPEC nor Russia has cut production to bring it more in line with demand. Even in the U.S., where several frackers have gone out of business, production is down just 4%, says Shilling. Oil prices haven’t fallen to the “chicken-out point” where producers will slash output because they’re losing too much money, says Shilling. That price point is tied to the marginal cost of production, which is close to $40 a barrel for fracking in the U.S. but only between $10 and $20 per barrel in the Persian Gulf and the Permian Basin in Texas, according to Shilling. A similar game of chicken is being played out in the industrial metals market. “The world’s biggest iron ore producers — Rio Tinto (RIO), BHP Billiton (BHP) and Vale (VALE) — continue to produce huge quantities of ore even as prices dropped 70% [from February 2011] to $55 currently because they believe they can squeeze out less-efficient producers with less staying power,” writes Shilling. The slowdown in China is a key factor for the decline in commodity prices worldwide, and that, in turn, is being driven in large part by the slow growth in Europe and North America — both big importers of Chinese products. “In the mid-2000s, industrial commodity producers were dazzled by China’s seemingly insatiable demand for commodities … they assumed that surging demand from China would last indefinitely … and embarked on massive projects [including] copper mines in South America, iron ore developments in Brazil and coal mines in Australia,” writes Shilling. China also became a big buyer of agricultural commodities, consuming about 30% of the world’s cotton and soybean oil. When its growth slowed significantly — from roughly 10% GDP to around 7% or lower (Shilling says China’s growth is closer to 3.5%) — creating stockpiles of excess supplies, China reduced the level of commodity imports and in some cases began to export commodities. But even after it was clear that China’s economy was slowing, supplies of commodities weren’t necessarily cut to accommodate the decline in demand. Many companies were still betting on rising commodity prices, according to Shilling. Commodities trading and mining company Glencore (GLEN.L), for example, bought Viterra, a Canadian grain producer, in 2012, and Xstrata, a coal producer in 2013, and amassed $30 billion in debt. It became the “poster boy” for the problems in the commodities markets, says Shilling. Its stock plummeted 29% during one day in September and is currently off about 63% for the year. Its competitors have also suffered but not nearly as much. BHP Billiton’s stock is off 39% and Rio Tinto’s 23%. “Commodity prices are down sharply since early 2011, but still have far to go,” writes Shilling. He rates industrial commodities, especially copper; agricultural commodities, especially sugar; and crude oil as well as the stocks and bonds of developing countries — many of them commodities producers — as “unattractive.” In other words, stay away.